Lawn Mowers There are 4 products. 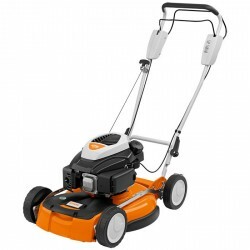 A highly manoeuvrable petrol lawn mower with a 46cm working width. 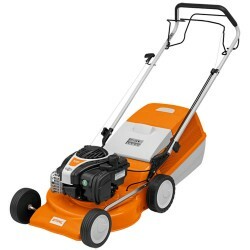 This lawn mower is ideal for medium sized lawns up to 1200m². A highly compact self-propelled petrol lawn mower with a 1-speed drive. Ideally suited to medium-sized lawns up to 1200m². The RM 4 RT is a highly robust petrol mulching lawn mower with a single speed forward drive. 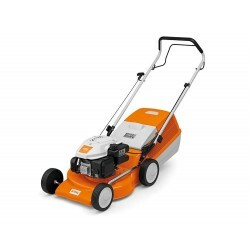 It is ideal for use on medium sized lawns. The RME 235 is a lightweight electric lawn mower ideally suited to small lawns of around 300m2.